The idea of Paragliding Pre World Cup Panchgani 2019 is to bring the Paragliding pilots from throughout the world together to enjoy the love for flying competition. 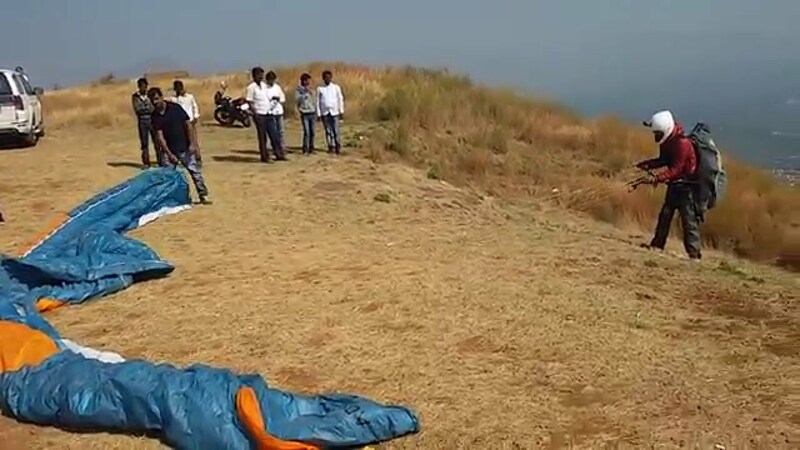 One of the top paragliding sites in Hindustan(Hindia), Panchgani (पंचगणि) is a famous mountain station and a municipal council in Satara district in Maharashtra province. Panchgani is nestled at the middle of five hills in the Sahyādri mountain ranges, also there are five villages around the Panchgani are Dandeghar, Khingar, Godwali, Amral, and Taighat. The Krishnā River runs nearby which made the lake of Dhom Dam on the Krishna 9 km from Wai. On the east of the Panchgani, there are Wai, Bavdhan and Nagewadi dam, to the westward, there is Gureghar, to the south are Khingar and; Rajpuri,& to the north is Dhom Dam. The temperature in Panchgani is around 12 degrees Celsius during the winter, and sometimes reaches 34 Celsius during the summer; however, the humidity level is very low. The Monsoon rains are heavy and the rainy season does from June till February, allowing the region three months of relatively dry and sunny spring. The five mountains surrounding Panchgani are topped by a volcanic plateau, which is the second highest in Asia after the Tibetan plateau. These steps, alternatively known as "table land", are a part of the Deccan Plateau and they were raised by pressure between the earth plates. Altitude: 1100 m. Motorable access. Nearly 1000 ft high. Many of flat ground for top landing even for student pilots. Bottom of the hill, Fields cultivated and uncultivated 10 min walkable to a village called 'Pasarni' where public transport and sharable taxi is available for returning to take off point. Altitude: 1174 m. Wide sandy and grassy slope. Approval into the event is according to the order of PAYMENT, not registration. If you are late to pay then you lose the offer of a place. Please help us organize Paragliding Pre World Cup Panchgani 2019 better by confirming as soon as possible. - Telegram application installed on your smart-phone for game communication. Insurance: Accident/Medical/hospitalization insurance covering paragliding (proof to be checked during registration). NO EXCEPTIONS! - Pilots without IPPI or similar rating can participate if they can provide a flight log proof of having done an XC at least once in the past one year including a distance of at least 30 km and or direction by an instructor or a senior pilot. Such pilots are requested to provide the above beforehand by sending the details to admin@panchganiopen.in. The decision taken by the organizing committee on the entry of such pilots shall be deemed final. The maximum no. of pilots allowed for the Paragliding Pre World Cup Panchgani 2019 is 100. # Minimum confirmed/paid participants should be 30. 2. Hotel Millennium Park:- 3.5 km from the headquarter. Godavali Village,S. No. 13, Behind Bharati Vidyapith, Panchgani-Mahabaleshwar, Satara, Maharashtra, India -412805. The nearest international airports in Mumbai 4 hrs drive. Panchgani is placed at about 255 km from Mumbai. Get a train to the nearest big city Pune. It takes about 3 to 5 hours. From Pune take a bus. Panchgani is 120 km from Pune. There is both private and public bus transport to Panchgani or Mahabaleshwar from Bombay and Pune.